I love the mission statement for the school district where I work, Hoover City Schools. I know that in many school districts, the mission statements sound similar, the words are posted and forgotten, and the statements are as valuable as the paper on which they are written. At our school, Hoover High School, I see the mission statement lived out each day. “In a safe, caring atmosphere…” Our teachers understand the importance of developing positive relationships with students. It’s something we value, and we are intentional about creating positive experiences for students. It’s a place where discipline is more about learning from mistakes, where teachers care for and take care of each other, and where diversity is celebrated. It’s part of our story. “provide each student with opportunities to develop exemplary character…” In Hoover City Schools, we expect, teach, and celebrate excellent character. We have an annual awards presentation of the Finley Character Awards (named on behalf of long-time coach Bob Finley), which is one of the most honorable awards a student or employee can receive in the district. It’s part of our story. “provide each student with opportunities to… achieve personal excellence…” Whether a student excels in arts, academics, athletics or other area, we create opportunities for students to learn, grow, and excel in whatever areas they can. In addition, we offer clubs, community service opportunities, and leadership opportunities to our students. This, too, is part of our story. “through a rigorous and relevant curriculum.” The standards we set for our student learning are high. We aim to teach through relevant and/or hands-on experiences which require students to problem-solve, work collaboratively, and apply their knowledge. We offer 6 academic academies (Law, Finance, Education, Engineering, Information Technology, and Health Science), a Fine Arts Academy, a Life Skills Academy, an IB curriculum, and many AP courses. This is part of our story. The story of our school is too powerful to be kept only between the staff and students. Every school has a story, and it’s important to get clear on the message that is shared with the people outside your building, especially with parents and community members. When sharing your school’s story, it’s important to send a clear and consistent message to others. ~What are we known for? What sets us apart from other schools? ~What do we WANT to be known for? ~What positive things are happening in our school that no one outside the building knows about? ~If your mission statement is stale or not represented, what key words describe what you are about? 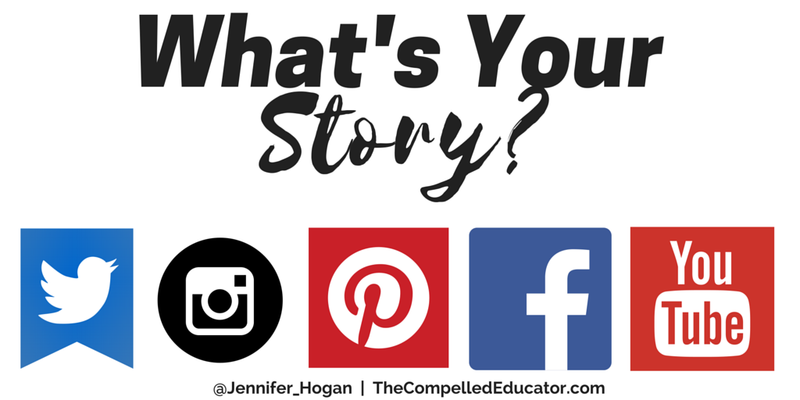 Once you get clear about your school’s story, get started sharing it with the world. It is imperative that we dilute the negative messages about education that circulate through the media. We have too many wonderful things going on in schools that we need to share!